There’s currently much hand-wringing about Seed “Orphan Companies” and the Series A Crunch. But, the level of Series A funding is, in fact, not declining. It’s holding steady, according to the data. Like most things supply and demand, the “Big Bang” of Seed funding has resulted in a greater number of startups looking for Series A funding than ever before. What we are seeing is the growth of the absolute number of special people building special things. Entrepreneurs creating innovative companies that have potential to create compelling value. 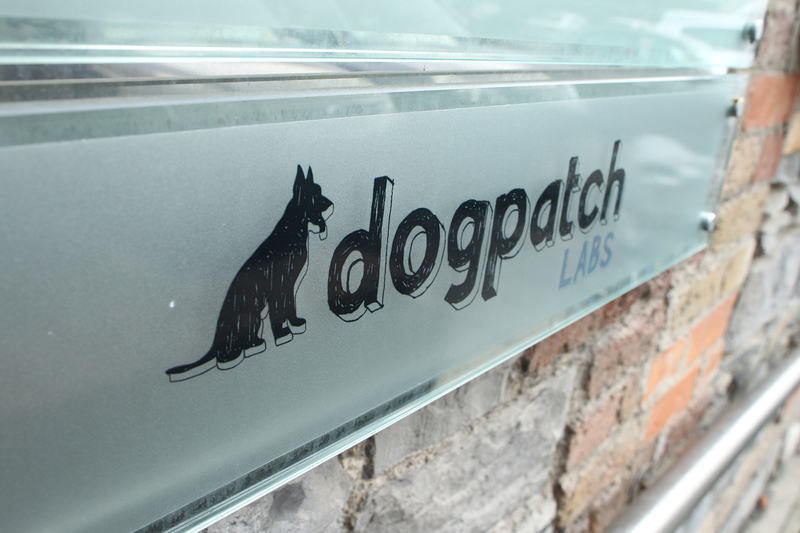 Supporting entrepreneurs was the fundamental driver behind the creation of our @dogpatchlabs community in 2009. Our goal was to forge long-term, supportive relationships with brilliant teams working on special ideas. And stand by them as they take the sometimes-lonely, Darwinian path toward success. Over @dogpatchlabs’ first few years our focus also included community building. Think about where the Cambridge startup community was in late 2008. Y-Combinator had just moved west and along with it went a fair amount of local excitement, pride and self-esteem. So in 2009, we and others dedicated our time and resources to support a community renaissance that spawned new accelerators, incubators and communities – including @dogpatchlabs. There’s always a time when entrepreneurs need a rallying point and place to come together – and @dogpatchlabs was among those “re-energizing” the Cambridge Tech community at-large when it needed it most. More than $75M of Seed and Series A capital has been raised by Cambridge dogpatchers since we began in the American Twine Building. @dogpatchlabs has always been about more than free desk space. It’s an open, virtual community where start-up entrepreneurs can test thinking, share experiences and support one another in their journeys. Built with open source principles in mind, it’s also always been about a community contributing to each other–sharing value components across teams, mentors and advisors. Dogpatchers past and present, like the folks at docTrackr, Localytics, logentries, PeerTransfer,Yesware, Energesis and Spindle, to name a few, all speak to the value of working day-in and day-out with like-minded founders and advisors in an open environment. What we believed from the beginning — and has clearly evident from running @dogpatchlabs — is that investors and startup entrepreneurs as partners together need to take the long view. Let’s face it, what entrepreneurs are doing is incredibly hard and days are filled with many difficult decisions. And there are many highs and lows which result from choices made. Relationships are built from working together over time, not from a rush of fundraising and evaluation. It takes time for true partnerships to emerge. Teams that once came in as Seeds are back now as Series A or Series B-ready. So what @dogpatchlabs also provides is the ability for long-term relationships to be built. It gives investors and entrepreneurs time to truly get to know each other, unchallenged by the crush of a fundraising process. It’s a place where help and value can be added organically — where and when it’s needed and wanted. So, after over three years, what’s missing — and what’s next? Like the entrepreneurs we work with, we put a lot of thought into re-innovation. Evolution’s critical to growth and success, after all. And as the Seed & Series A data tells us, it’s clear that investors & entrepreneurs are going to invest more and more time together at the early stages of business creation. Increased integration with other communities within the Cambridge ecosystem. At its outset, given the emerging state of the Cambridge innovation community, it made sense for @dogpatchlabs to be somewhat independent. But like any good open source project, over time, we’ve aimed to be progressively more entwined into the much larger, thriving entrepreneurial ecosystem. As we’ve accomplished while cohabiting with the TechStars community for the past two years, in V3.0 we want to step up integration to another level. More facilitation of tight collaborations with other communities, accelerators, and universities. Staying true to the open source model of the @dogpatchlabs community. We want to keep doing the stuff that works, i.e., continue to foster a open-door community culture that encourages resident and non-resident teams to visit and collaborate with mentors, advisors and investors on a self-organizing basis. Increase the usability and effectiveness of the physical work environment. While our existing location @ 1 Cambridge Center and the original location in the American Twine Building have each enjoyed distinctly fun elements, nonetheless, as example, we’ve always been challenged by the lack of ready, available, maintained conference room space. We’ve been really fortunate to have had Microsoft as a great partner to @dogpatchlabs, and we owe them thanks for making our current location possible for the past two years. But as investors in our “day jobs”, it’s been a challenge to demonstrate competence w/r/t the daily infrastructure demands of keeping things running smoothly– from keeping the network running to ordering up pizzas and keeping soda in the refrigerator . So — as we announced just before the holidays to dogpatchers, we’ll be soon moving across the street to 101 Main Street, inside of the Cambridge Innovation Center. @dogpatchlabs will be a separate — but tightly-integrated — part of the CIC community and facility. While @dogpatchlabs will continue to be all that it has been — moving to an outstanding facility — and even more importantly, to an exceptional management system led by Tim Rowe’s CIC team, will enable @dogpatchlabs to best evolve to its next level. Tightly integrating @dogpatchlabs into CIC accomplishes a lot. We hand over daily facility operations management to their world-class organization, which gives us more cycles to deeply engage. For Polaris, given that time is one of the most valuable commodities that we have to offer, we believe that the best way for us to help the ecosystem to continue to grow and thrive is to actively participate in all that is @dogpatchlabs. But at the same time, my Polaris partners & I are committing to a more distributed approach to community-building. This means looking for ways to increase our mentoring and active involvement with TechStars, MassChallenge, Harvard iLab and The Experiment Fund, the MIT Beehive Cooperative, HealthBox, hack/reduce, and other key parts of the burgeoning Cambridge ecosystem. More to come on some this shortly. Version 3.0 means they’ll be more opportunities for community self-organization. We’ll be working side-by-side with resident leaders and CIC to make @dogpatchlabs 3.0 as good as it can be. And to bring it even deeper into the at-large community. Version 3.0 means we continue to see incredible opportunities in Boston and Cambridge. We’re increasing our efforts to be even more active in the Technology, Healthcare and University ecosystems. It means that we see the opportunity to bind the @dogpatchlabs model deeper into the at-large community. And the opportunity for more great companies to built here. My partners and I really look forward to rolling up our sleeves with great entrepreneur partners in our new home.